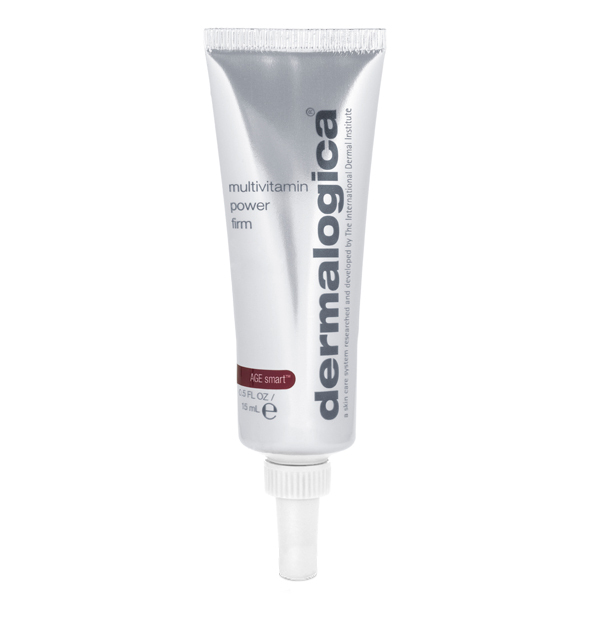 Multivitamin Power Firm, for Eye & Lip Area- .5 fl. oz. - A highly concentrated cose of seaweed based firming agents and reparative vitamins that are specifically formulated for the delicate eye and lip areas. Our super stable anhydrous (waterless) silicone jelly base delivers this therapy with all the benefits of a rich cream and the light feel of a gel. The skin around the eyes and mouth has a thinner epidermis and the eye area has fewer sebaceous glands than anywhere else in the face, resulting in diminished hydration levels. These areas are, therefore, also the first to show the signs of aging. New Multivitamin Power Firm is a powerful line fighter that specifically addresses these issues.